Rants and commentaries on the latest hot topics in sport. Pressbox and hot dogs not included. There’s no doubt the Habs will make the playoffs; but after an Eastern Conference Finals appearance last year, the expectations in this hockey-crazed town are sky high. The Montreal Canadiens currently sit third in the Atlantic division with 61 points, 11 more than the first non-playoff team, the Florida Panthers. The main reason for the their success is the goaltending. The team has been outshot 24 of the 45 games they’ve played this season, which is just over 50%. That is the worst percentage for any current playoff team. Normally, fingers point towards defence for the excessive amount of shots taken. While there needs to be improvement on that front as well, there lies a greater reason for the troubling trend. The team is not balanced. If you look at any team that has won in the past couple of seasons, the key is depth and consistency across all facets of the team. Goaltending can steal a game or two here and there, but for any real run there can’t be any defensive or offensive liabilities. Price recently returned from injury, with backup Dustin Tokarski filling in. During his stint, the team’s major holes became much more obvious. In the game against Ottawa on Jan. 15, the Senators’ fourth shot of the game got past the back-up goaltender. They continued to outshoot the Canadiens 31-26 to win 4-1. The Habs couldn’t convert on any of their four power plays and were having trouble transitioning through the middle of the ice, which led to a limited number of chances in the offensive zone, not to mention that seven of the 16 forwards failed to register a shot on goal. A major issue this team has to deal with is the third pairing defenceman Alexei Emelin, who has turned making mistakes into a nightly affair. His puck handling has improved and he’s making fewer turnovers, but the problem lies in his skating ability. Emelin can’t keep up. He’s not fast enough to make needed transitions out of his own end and has a lot of difficulty controlling the pace of the game. His largest asset was his physicality, but even that has diminished this season. Not every playoff team needs six top defensemen, but they do need six competent ones. The Canadiens are 30th in the league in scoring during the first period of play and only really start playing when they get scored on. For instance, in last Tuesday’s win over Nashville, the Canadiens found themselves being outshot 22-4. With the current roster, I don’t see how they would be able to get past a superior team in the conference to get to the Stanley Cup Finals. Even with the Habs having 5:1 odds to win the East, it doesn’t seem likely with teams like Tampa Bay and Pittsburgh, who have found a way to dominate possession in the offensive zone. The Habs were able to sweep the Lightning last year, but that came without Tampa Bay’s starting goaltender, Ben Bishop, who was injured just before the start of the playoffs. The Rangers eliminated the Habs, after Carey Price fell to injury by forward Chris Kreider, in six games. If the Canadiens are able to bring their offensive game back to a level that got them to the Eastern finals last year, with a healthy Price and a trade or two, their chances of making a deep push might be more possible. The Montreal Canadiens will be able to stand on the shoulders of Carey Price to get into the playoffs; the issue they’ll face is whether or not they’ll fall off. 2015 MLS Superdraft - Is Romario Williams a Good Pick for the Impact? 20 Major League Soccer teams made their way to Philadelphia this past week for the 2015 Superdraft. Many of the nation’s best from the collegiate system communed in the city of brotherly love. The third pick belonged to Montreal, and having missed out on Cyle Larin and Khiry Shelton in the first two picks, Klopas made an offensive minded move. Commissioner Don Garber stepped up to the podium and called on stage University of Central Florida forward, Romario Williams. The former Jamaican under-17 international recorded seven goals in his junior year—18 in his entire college career—and was on the Herman Trophy watch list for best collegiate player at the start of this past NCAA season. Williams is also not afraid to shoot the ball as he averaged a total of 4.33 shots on goal and, according to the university, was a vocal leader on and off the pitch. The upside to this player is the Generation Adidas contract he signed prior to the draft. MLS signs the best underclassmen with hopes of making them leave college early to play professional soccer. These few players (there were five in this edition of the draft) are signed to GA contracts, which means their salaries do not count toward the team’s cap. So what’s the answer to the original question? It’s complicated. The Montreal Impact have a great academy system. In only three years of MLS soccer, the team has signed eight players from their academy and only one has ever been cut from the squad. Joey Saputo’s pride and joy means that the draft process takes a hit to the side. If we look at their history of draft picks we can see that with their first overall pick in 2012, Jesse Marsch went for Andrew Wenger. He didn’t pan out and got traded to the Philadelphia Union for Jack McInerney two years later. In 2013, their first round pick was Blake Smith, a wide-playing midfielder who faded out and was loaned out to the North American Soccer League. He will return to a packed midfield next year. Finally, last year’s first round pick was wingback Eric Miller, who started nicely but got injured and eventually lost his regular spot. Bottom line, except for second round pick Calum Mallace, who really stood out in the center of midfield, the draft picks the Impact have chosen were not really what you can call a “bang for your buck.” The worst aspect about this situation is some players who are classified as “projects,” leave university at 20, 21 or 22 years old. By the time those academy players get to 21 years old, they will have played much more “professionally oriented” soccer, and it will be greatly to their advantage. had the opportunity to train with the club. What will play in Williams’ favor is the fact that he might play a whole season with FC Montreal in USL-PRO. Not only will he play in a professional league, but he will do so in the front offices’ back yard. The three other first round pick did not have this luxury. Romario Williams has a lot to offer and can be a good pickup at the third overall spot. The pacy former Jamaican U-17 international might be good player for the bleu-blanc-noir in two to three years time. 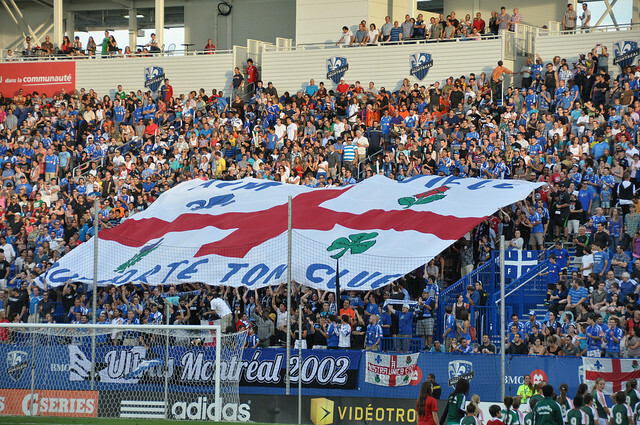 For the moment, the ones who will see him develop will be the ones in the stands for the games FC Montreal will play, not the fans at Stade Saputo. The Baseball Writers’ Association of America, those who ultimately decide who gets into the hall each year, elected four members into this year’s Hall of Fame class. It is the first time four members have been elected on one ballot since 1955. However, many deserving players were not elected to the Hall—including, notably, former Montreal Expo Tim Raines. Raines finished with 55 per cent of the votes on his eighth year on the ballot. A player needs 75 per cent of the votes to be inducted into the Hall of Fame. Eligible players once had 15 years to get voted into the Hall. However, as of last year, the rule was changed to 10 years, but the change allows players who have been on the ballot for 10 years or more to still be eligible, provided they have not elapsed their 15 years. Players who have less than 10 years on their ballot, however, are forced to comply with the new rule. It means that Tim Raines now has only two more years to be voted into the Hall of Fame, as opposed to seven more. Raines began his professional career with the Montreal Expos. The team drafted him in the fifth round in 1977 as a switch-hitting shortstop. He mainly played second base throughout the minors, but in 1981, his rookie year, he was switched to left field. As a rookie, Raines stole 71 bases with an 87 per cent success rate. Raines also finished the season with a .304 batting average, an on-base percentage of .391, and a slugging percentage of .438. Raines made his first all-star team appearance and finished second in Rookie of the Year voting. 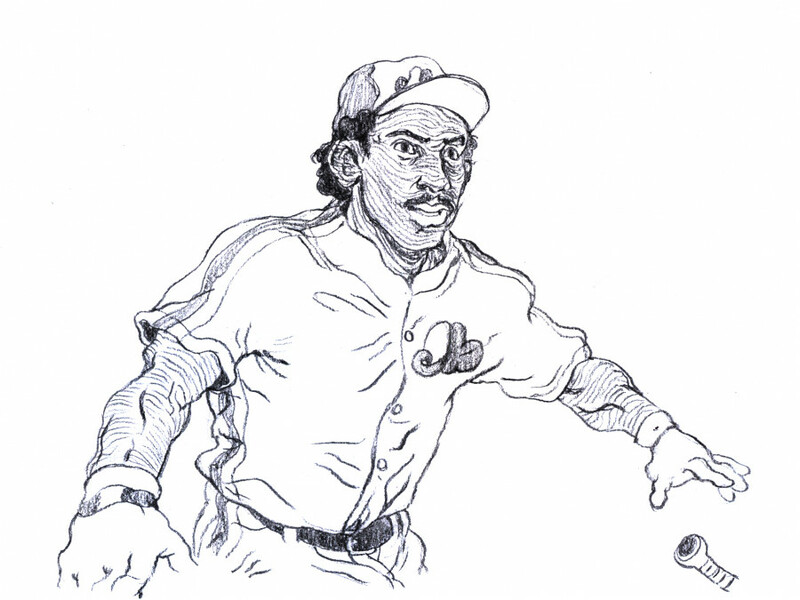 Raines’s amazing rookie campaign proved to be no fluke, as he continued to produce for the Expos for 10 more seasons. He then went on to play five years with the Chicago White Sox and three with the New York Yankees, where he won two World Series. Raines then bounced around the league as old age and injuries caught up with him. He retired in 2002 as a member of the Florida Marlins. Over a 23-year career, Raines posted great numbers that should have landed him in Cooperstown. Raines finished with career numbers of .294 AVG, a .385 OBP, and a .425 SLG. But what Raines was most known for, however, was his great speed and ability to steal bases. He finished with 808 stolen bases, the fifth most of all time, and had an 85 per cent success rate, the highest success rate with anyone close to his stolen base total. If Raines doesn’t make it into the Hall of Fame, he would be the only player with more than 800 stolen bases not be inducted. The other four players to have more than 800 steals are Rickey Henderson (1406), Lou Brock (938), Billy Hamilton (912), and Ty Cobb (892). All four are in the Hall of Fame. You won’t hear me say that Raines was better than Henderson, Cobb, or even Hamilton, but let’s compare Raines to Brock. Brock just for good measure was inducted into the Hall of Fame on his first try with 79.75 per cent of the votes. Upon comparison, Raines has surpassed Brock in certain stats. However, Brock was voted into the Hall of Fame, while Raines may never get in. The only notable statistic where Brock has Raines is in steals. Raines, however, has a higher success rate than Brock. The Montreal Expos franchise have had many great players come through its system. Raines shines among its more notable faces. Pedro Martinez, who played as an Expo from 1994 to 1997, will always be remembered as a Boston Red Sox player, while Johnson spent less than two seasons in Montreal. Raines still has a chance to enter the Hall as a Montreal Expo, but the clock is ticking on his eligibility, and voters need to realize he is worthy of making the Hall of Fame. The former Montreal Canadiens captain passed away last Tuesday night at the age of 83. We will never know exactly how many autographs Mr. Beliveau signed for fans throughout his life. We don’t have statistics on how many handshakes and greetings he gave to fans, friends and even foes. We don’t know how many smiles he put on people’s faces, or how many times people were surprised by “Le Gros Bill’s” height. In sports we don’t document these statistics, but for those he took extra time to reward their fandom, they will always have countless fond memories. When an important athlete dies, the media will glorify his or her numbers and accolades. The person’s career highlights will be revisited, and briefly, a few words will be shared about his character and personality off the ice, pitch or court. Beliveau is one of the few athletes whose persona actually transcended his playing career, yet the legacy he made on the ice shouldn’t be left aside. Beliveau won 17 Stanley Cups as a member of the Canadiens—10 as a player and seven as an executive for the team. He scored 507 goals in his career and recorded 1,219 points over his career. He spent every year in the National Hockey League with the Canadiens, where he only missed the playoffs once. Beliveau was so talented before reaching the NHL, that the Canadiens purchased the entire junior league he played in, just to acquire his rights. But when the towering centre comes to mind, fans, journalists and other admirers bring up stories of Beliveau’s kind-heartedness. From making sure every fan left with a perfectly doctored autograph to the rivalries-turned-friendships that he kept with his opponents from the Detroit Red Wings or even the Toronto Maple Leafs. 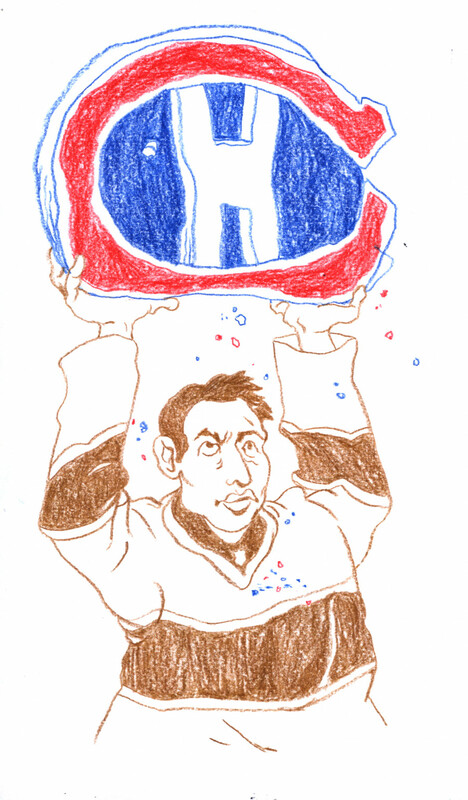 My favourite story, of all the ones that have come out since Beliveau’s passing, is what happened after a rookie teammate threw his jersey to the ground after a game with the Canadiens. Beliveau picked up the jersey and walked towards the unnamed player, and told him that the sacred Canadiens uniform was never to touch the ground again. Beliveau was truly the captain the organization needed for its glory days in the 1950s and 1960s, and he himself understood the importance of being a Canadien. I have never met Beliveau, and I am actually quite saddened that I do not have a personal story, or even a photo, of me meeting “Le Gros Bill.” But my father had the opportunity to meet him years ago, and he was taken aback by his great and stoic presence. Every time Beliveau’s name was spoken, thoughts of class and elegance soon followed, and there are very few athletes and sports personalities from any league today who exude these qualities as well as he did. I, along with many Habs fans and players who have never seen Mr. Beliveau play, truly understand that the Canadiens organization, all of Canada, and the entire hockey world, have lost a notable icon. 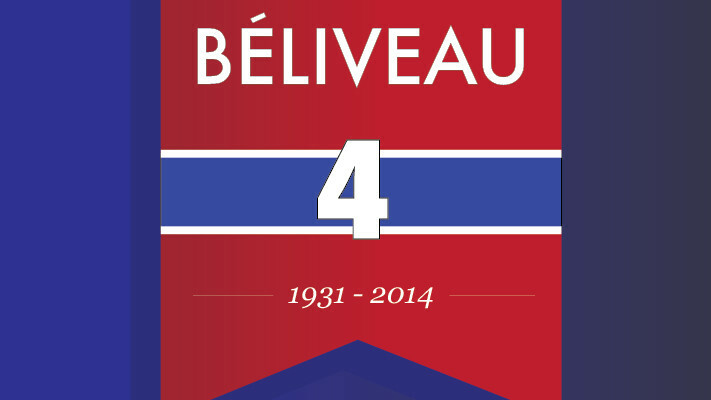 We will miss you, Mr. Beliveau. Blame Game: The NFL Tries to Tackle Domestic Violence, But Does the Judicial System Need More Blame? Since the running back pleaded no contest to a misdemeanour assault charge, he now has to pay a $4000 fine, will be placed on probation, and will have to perform 80 hours of community service. The NFL, faced with the latest story in a long line of domestic abuse cases that have plagued the game of football this year, is now left with the decision to either reinstate Peterson or to pursue further disciplinary actions. They will likely garner criticism from the media and fans, regardless of whatever decision they choose. A major question, that NFL fans, sports fans, and perhaps the general public, should ask is, who should they really be mad at? Does the NFL deserve the brunt of the blame because they do not have an active domestic violence policy, or should the anger and outrage be directed more towards the judicial system, which previously saw several NFL players get a pass for domestic violence abuse cases? On May 21st, 2014, former Baltimore Raven running back Ray Rice was accepted into a pretrial intervention program, following the infamous assault of his wife, Janay Palmer, in February. The New Jersey prosecutors essentially allowed Rice to go into the program, instead of taking the trial to court. If Rice is able to complete the program for 12 months and remain out of trouble, the charges will not show up on his record. The pretrial intervention program has been offered to less than one percent of domestic assault cases from 2010-2013, as first reported by Outside the Lines. I remember hearing a lot of criticism towards the NFL for their two game suspension of Ray Rice and mishandling of his situation, but not a lot for the New Jersey Judiciary department for granting this generous offer to Rice. Peterson and Rice were not the sole cases of domestic violence this summer. San Francisco 49ers defensive end Ray McDonald was also accused of domestic violence charges on August 31st, 2014. He was accused of beating his then pregnant wife, but prosecutors said that they could not prove that an actual crime occurred, even though investigators said his fiancée had visible injuries. 49ers teammates quarterback Colin Kaepernick, receiver Quinton Patton, and Seattle Seahawks receiver Ricardo Lockette were also arrested in June. All three were initially involved in a sexual assault case against a woman in a downtown Miami hotel. The charges were dropped do to a lack of evidence. Even college sports stars have been given a free pass by the judicial system. Florida State University quarterback Jameis Winston allegedly assaulted a woman on December 7th, 2012, yet avoided prosecution because state attorney William Meggs said that there wasn’t enough evidence to pursue with charges. However, there are reports from various media outlets, including FOX Sports, that FSU officials and Tallahassee police not only hid, but also tried to hinder the criminal investigation that was taking place. This involved keeping valuable and relevant information away from William Meggs. There is also evidence that Winston’s DNA was matched with the woman’s underwear that night, although Winston states that it was consensual. Is it solely the NFL, or the collegiate system’s job to punish players that are accused of these crimes? This is by no way meant to give the NFL a pass for not having a proper domestic violence or sexual assault policy, but rather to gear the blame more on the judicial process. While in the cases of McDonald, Kaepernick, and Winston, it is difficult to know whether they actually committed the crimes or not, but with Rice and Peterson however, it is pretty clear that they did. I don’t have a perfect answer but it seems important to ponder if our anger and outrage is not temporarily being misplaced at the NFL while the judicial process hasn’t necessarily done its duty. Since the publishing of the article on Tuesday, Nov. 18, NFL running back Adrian Peterson has since been suspended by the National Football League for the rest of the 2014-15 season.